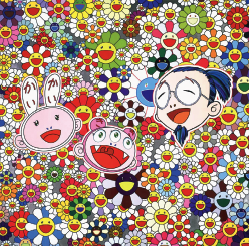 In a couple weeks, Takashi Murakami will be opening his solo show at Emmanuel Perrotin in Paris entitled “Takashi Murakami Paints Self Portraits.”Â Murakami has been known to paint “self-portraits” in the past including his alter egos like Mr. DOB, Inochi, Mr. Pointy, Tan Tan Bo and Oval, but this time expect to see a set of self-portraits featuring the artist accompanied by his favorite characters. We especially are looking forward to the supposedly large painting “HIROPON, Me, And My Lonesome Cowboy,” where he is surrounded by two of his most controversial sculptures. 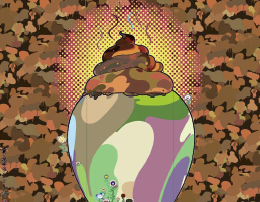 Expect to see about seventeen paintings (including the self portraits and a new “Chrysanthemums” series of tondos – circular-format paintings), five sculptures (including four different Kanye Bears – seen above), and two films.Â This if definitely a show you want to check out if you are in Paris – show opens on September 15th. Some more images (small ones) after the jump. 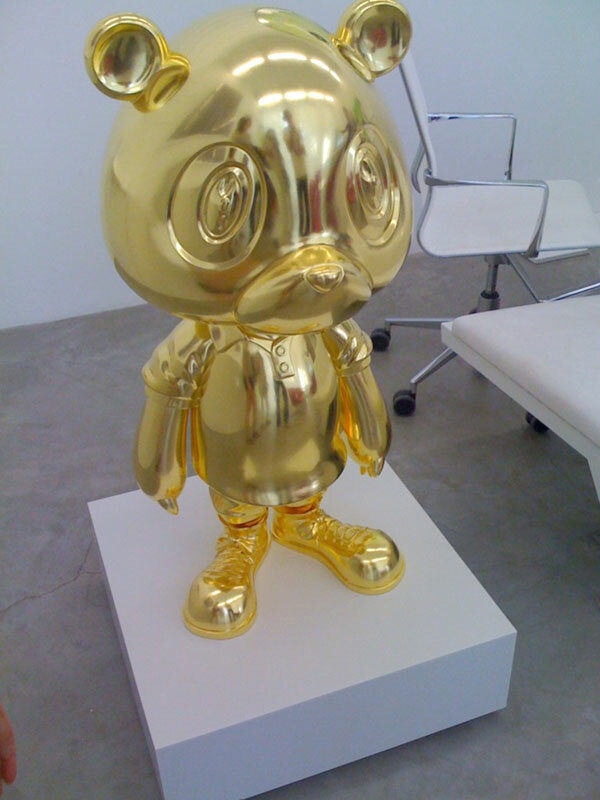 Kanye Bear image via GLP. Categories: Art, Contemporary Art, Previews, Sculpture, Shows & Events. 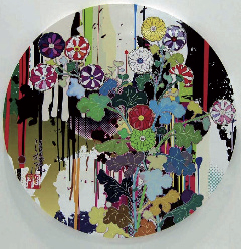 Tags: Contemporary Art, Murakami - EP 09, Sculpture, Shows & Events, Takashi Murakami.